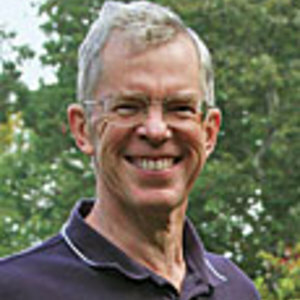 Learn how to select the right brush for a variety of finishes in this excerpt from our June 2010 (FWW #212) article, The Best Brushes. 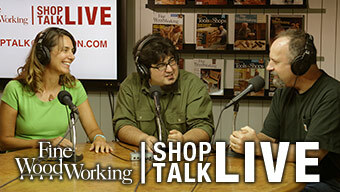 For even more information, be sure to read part twoI, How to Maintain Your Finish Brush. 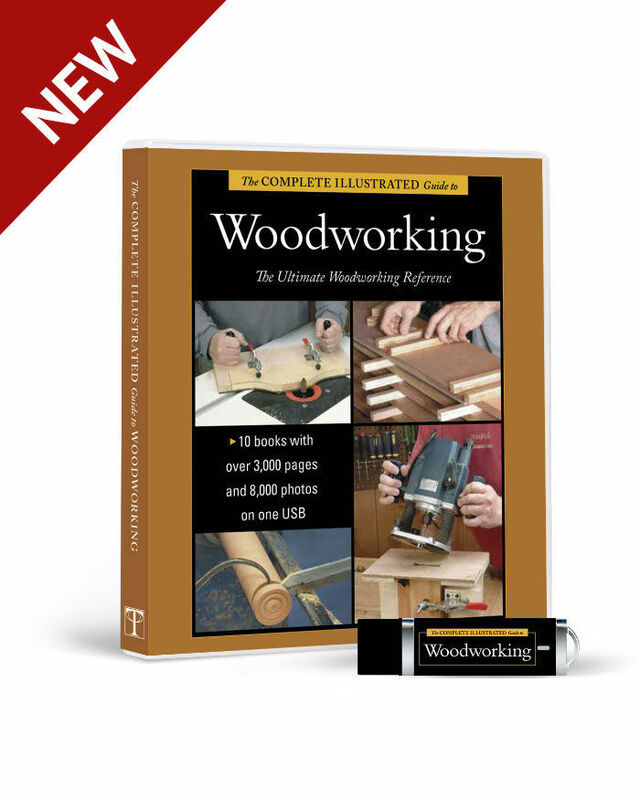 Many woodworkers use only one finishing tool—a cloth. That is a shame, because applying a finish with a brush has many advantages: You build up a protective finish much faster; you can use waterborne finishes, which are very hard to wipe; and you waste far less finish than with a spray gun and don’t need a special spray booth. One obstacle to getting started, though, are the hundreds of brushes for sale in hardware stores, home centers, and online. They come in all sizes and shapes, at every point on the price scale, and with different types of bristles (some with no bristles at all). You want to apply a perfect finish to your just-completed project, but should you spend $50 on a brush or will a $10 one work just as well? 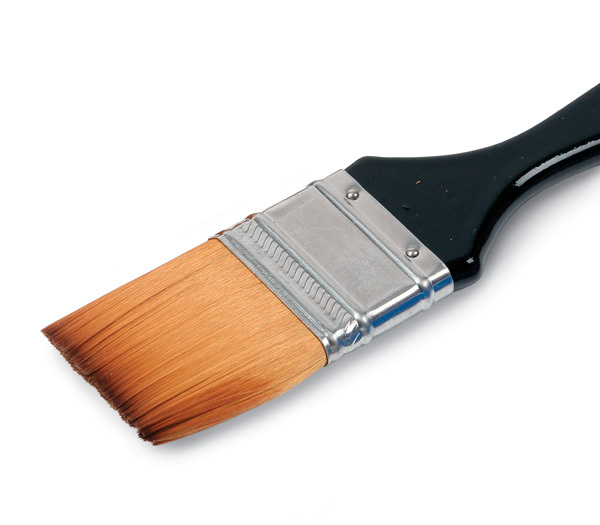 A brush is simply a tool for spreading finish on a surface. 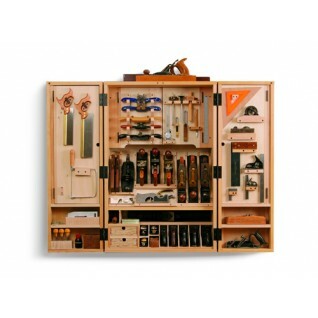 But like all tools, there are specialist versions for different products and situations, and to a great extent price does determine quality. I’ll explain what to look for in a quality brush, why you will get better results using one, and how to keep your brushes working well for many years. I’ll also tell you what brushes work best with different types of finish, and suggest a selection that won’t break the budget. You’ll be surprised at how easy brushing can be when you have the right brush. Start with a 2-in. brush. 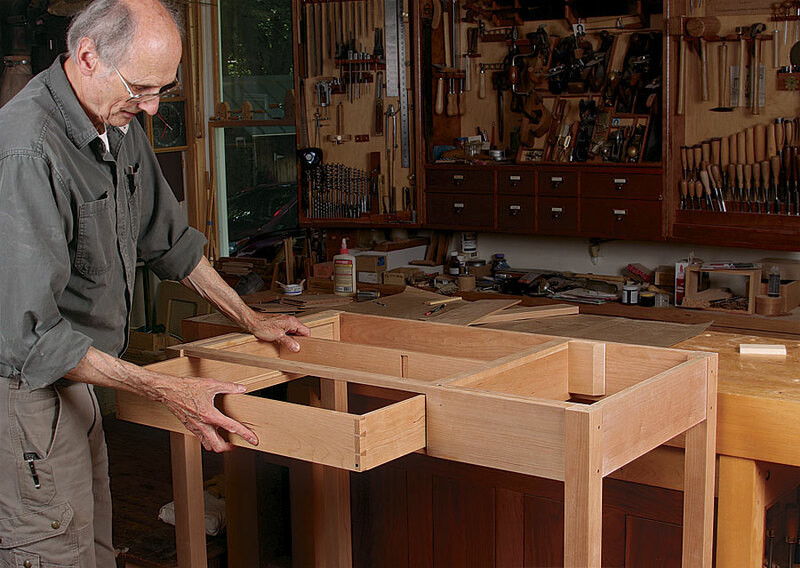 This is small enough to learn on but large enough to finish most surfaces up to small tabletops. 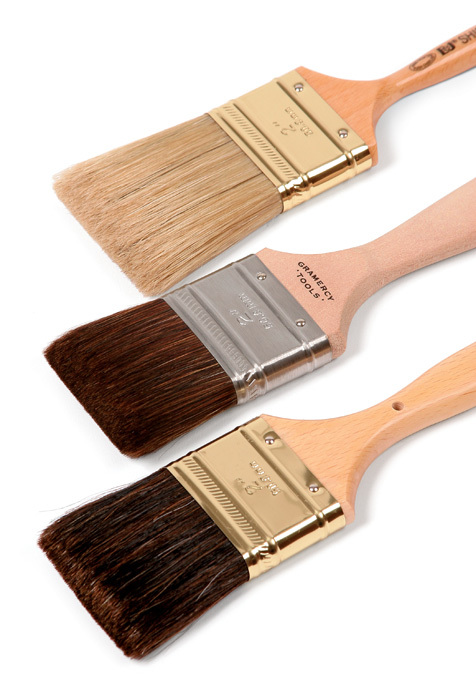 Because most brushes are designed to apply paint, they are stiffer than is ideal for applying most clear finishes. Look for a brush that feels relatively flexible and has filaments around 1/2 in. longer than the brush is wide. Shorter filaments don’t have enough flexibility. 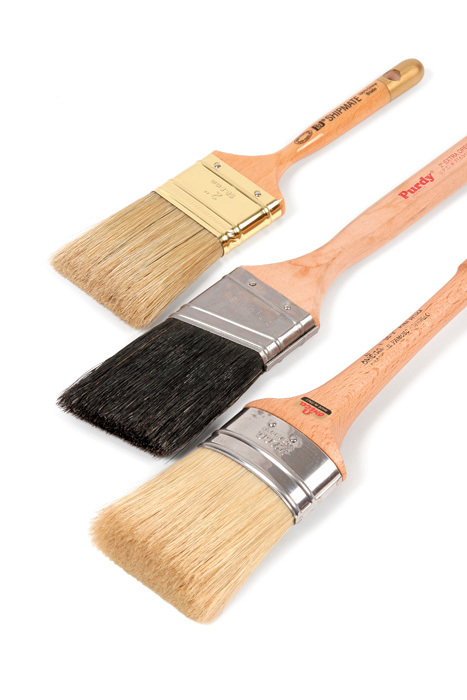 Buy a natural-bristle brush for solvent-based finish, or a synthetic-filament brush for water-based finish. An angled-sash brush (center) is designed to handle areas of different widths as well as corners and tight spots. Get a size between 1-1/2 in. and 2-1/2 in. Once you’re comfortable brushing and you’re ready to tackle a large surface, buy a round or oval brush (bottom). Their extra capacity means fewer trips to reload the brush. A starter pack of brushes is usually a false economy. 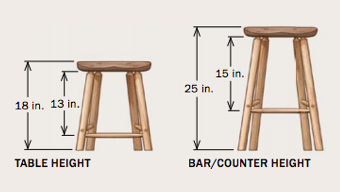 The quality will be so-so and you’ll probably use only one size regularly. Spend the same amount on one quality brush from a company that specializes in making them. Good choices include Elder & Jenks, Purdy, and Wooster. Brushes work better with a pointed end, but there is a good way and a bad way to form it. Simply trimming the ends (left) removes the flagging from the edges. 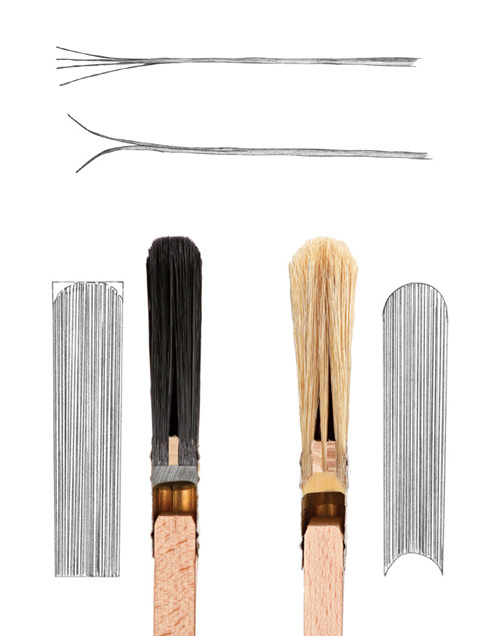 A better quality brush (right) will have a shaped bundle, which leaves the flagging intact. 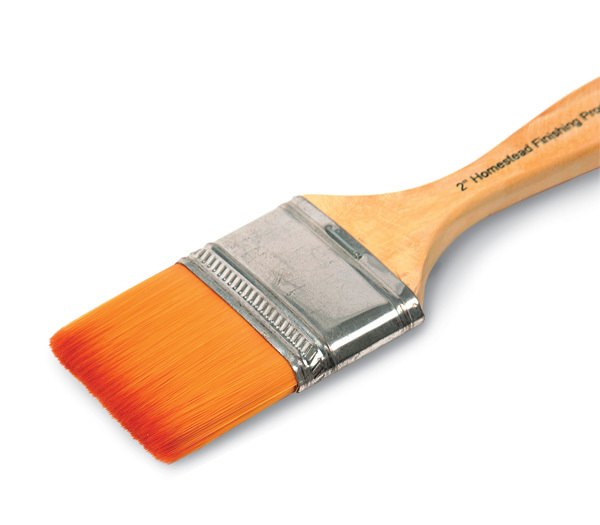 Despite some manufacturer’s claims, brushes with synthetic filaments can’t match a natural-filament brush when applying a solvent-based finish. 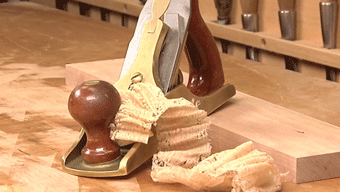 Most woodworkers refer to a brush’s bristles rather than its filaments, but that is rather like calling all cheese cheddar. Bristle refers only to hog bristle, also known as China bristle because that is where nearly all of it comes from. Sold to brush-makers for $8 to $12 per pound, bristle is the workhorse among natural-filament brushes. The other natural filament you’re likely to find in brushes is European ox hair, which comes from these animals’ ears. Slightly less stiff than hog bristle, it is also softer and at $80 per pound, much more expensive. You can buy ox hair/bristle blend brushes such as Elder & Jenks’ Capital Ox ($20), or you can buy a pure ox-hair brush from Tools for Working Wood ($40). Once you get the feel for brushing a finish, either type of brush is well worth buying if you are using solvent-based varnish. Your grandfather may have sworn by his badger-hair brush and some catalogs offer “badger-style” brushes. However, genuine badger hair costs around $400 per pound, so it is likely that the brush is really hog bristle with a black streak pained on the bristles to resemble badger hair. Read the fine print closely. An ox/bristle blend works very well. It can’t quite match the surface left by pure ox hair, but this won’t matter if you are rubbing out the finish. Expect to pay $20 to $25 for a 2-in. brush. One synthetic filament, Taklon, works for both solvent and water-based finishes. The filaments are extremely fine and leave virtually no brush marks, but their flexibility makes them suitable only for thinned finishes and they can’t deliver as much finish per stroke. 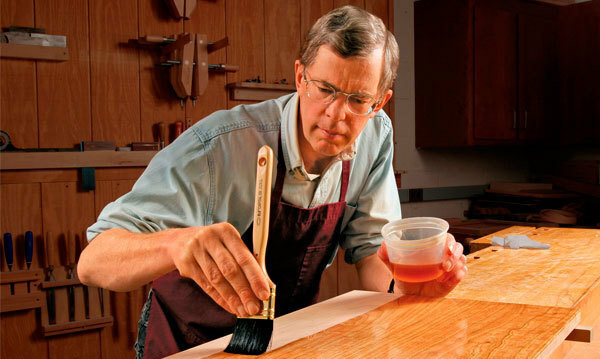 A good way to get a really smooth final coat for fast-drying finishes like lacquer or shellac is to thin them by at least 50% and use a Taklon brush to lay down a coat almost devoid of brush marks. You can expect to pay around $30 for a Taklon brush. 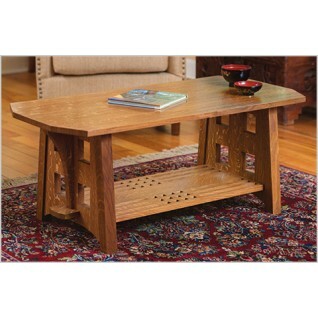 Water-based finishes also dry fast but can’t be thinned as much as shellac and lacquer. To get around this problem, you can buy slightly stiffer Taklon brushes made especially for these finishes. Homestead Finishing sells one for $25. Some Taklon brushes have a glue size applied that keeps the bristles stiff for packaging and transport. Before first use, submerge them in warm water or alcohol to remove the size.